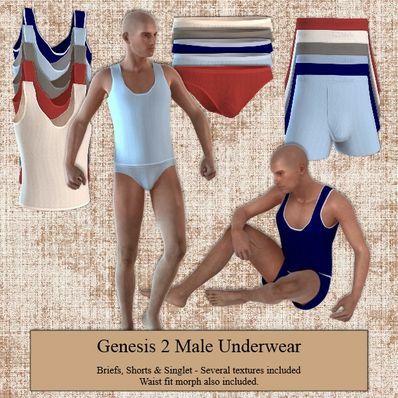 Briefs, Shorts & Singlet for Genesis 2 Male for use in Daz Studio 4.6. Singlet Waist fit included. I have also included several Textures. Now it works fine. Thanks! File updated. Please redownload. Sorry about that.